Gretchen L. Jones is a shareholder and Business Practice Group Leader at the law firm of Eaton Peabody, resident in the Brunswick, Maine office. Ms. Jones earned her law degree from the University of Maine School of Law and her undergraduate degree in Mathematics from Bowdoin College. Ms. Jones’ practice is focused on representing and counseling financial institutions and other businesses. She has extensive experience in legislative and regulatory advocacy on behalf of clients before the Maine Legislature, members of Congress, federal financial regulators and state agencies. Her expertise encompasses all areas of business and commercial representation, including regulatory compliance; consumer, commercial and municipal finance; charter conversions; and mergers and acquisitions, from planning stages through consummation. She is also a frequent speaker on financial institution regulatory matters. Ms. Jones is admitted to the Bar in the States of Maine and New Hampshire and the District of Columbia. 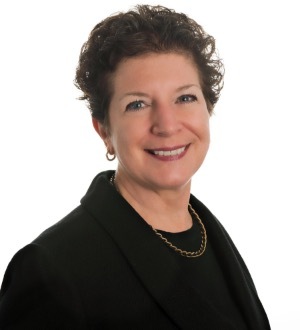 She a member and former Chair of the Maine Bar Association’s Consumer and Financial Institution Law Section and is a member of the New Hampshire Bar Association’s Corporations, Business and Banking Law Section. She formerly served on the Central Maine Healthcare Corporation Institutional Review Board and the Board of Directors of the Androscoggin County Chamber of Commerce; and co-chairs the Red Mass Committee of the Diocese of Maine.